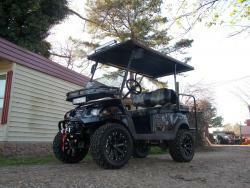 Club Car’s Precedent Golf Carts can be customized for a wide variety of uses ranging from family fun to recreational uses. 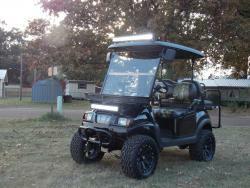 One of the more popular options in Louisiana, Mississippi, and Texas are Hunting Golf Carts. While they are frequently used in the South they are great for a wide variety of game across the entire United States. 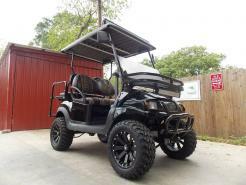 A precedent hunting golf cart is a quiet and environmentally friendly way to get yourself and your loads of equipment into the woods. 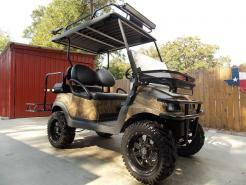 Does your hunting grounds have a specific type of challenging terrain? We can help you account for it. Let one of our expert staff at Grigg's Southern Sportz know about it. 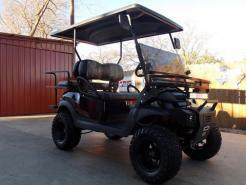 We can custom tailor your precedent hunting golf cart to the type of game and the conditions you most enjoy hunting. 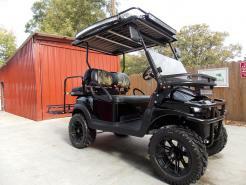 Lift kits, Mud/All Terain Tires, Light Bars, Camo Body Kit, Fender Flares and Gun Racks are just the beginning of the items that can be added to your perfect, Custom Hunting Golf Cart! 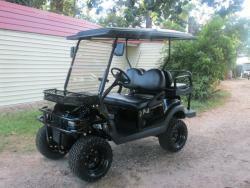 We offer 2 & 4 Wheel Drive Options as well.